The latest release on John Johnson’s ICONYC welcomes Fernando Olaya back to the label for a brand new single. The Colombian artist last appeared on the US imprint with his ‘New Horizons’ EP which was released in January of this year. More recently Fernando released his outstanding ‘Cubes’ EP on Tash’s Movement recordings and also delivered a single for K Nass’ recently launched Northern Lights imprint. 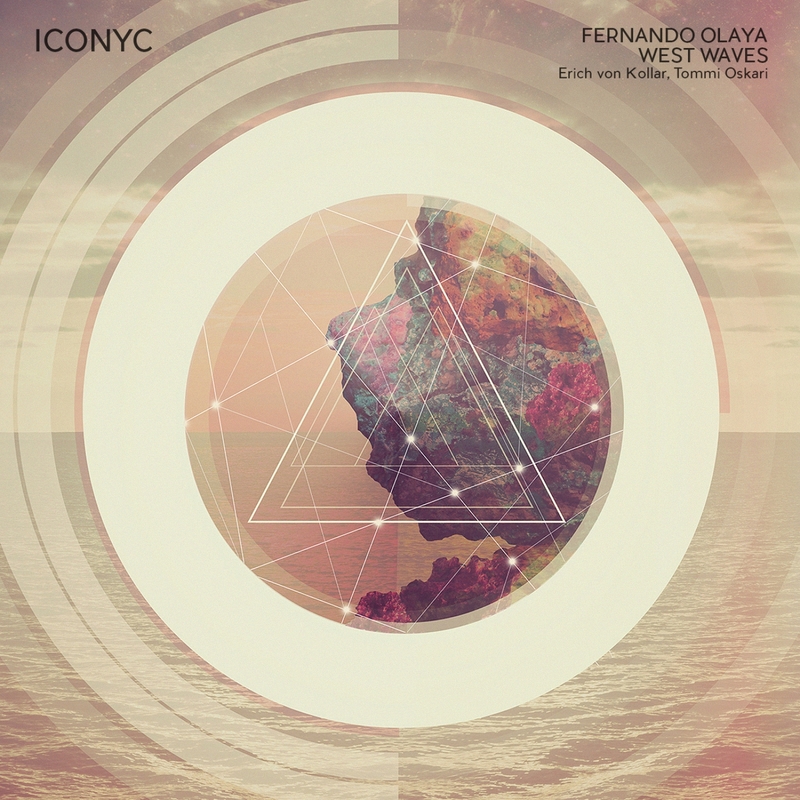 Now making his much anticipated return to ICONYC Fernando presents his latest studio offering entitled ‘West Waves’ alongside remixes from Erich Von Kollar and Tommi Oskari. Known for his progressive techno cross over style tracks Fernando delivers another beauty here. Tough and driving at the outset, it finds the Colombian exploring several dark motifs over its eight and a half minute running time. A rumbling foundation brings immense character, almost bubbly and effervescent sounding, while sheets of icy textures trail through the framework. It’s actually quite dark and foreboding but a glassy sounding melody gets dropped in just before the main break which brightens the mood up just a touch. Vocal effects ultimately initiate the break which is short and impactful with a quick build leading to a stripped back portion of the groove sitting comfortably in a haze of tripped out atmospheres. A definite winner for the darker floors out there and another great piece added to Fernando’s impressive discography. The two remixes are excellent as well and you would certainly expect that from Erich Von Kollar and Tommi Oskari. First up Erich does something quite unique and drops the tempo considerably for a lazy electronica inspired piece which pulls quite a bit more emotion than the original. The vocal elements are gorgeous, almost like indistinct alien-like transmissions and the warmth of the pads at certain points brings some heartfelt moments. The main theme stays intact but nonetheless it’s a daring approach overall and a refreshing one as well. Great remix from Erich. The release concludes with one of Finland’s finest Tommi Oskari making his label debut. 2016 highlights include amazing remixes of Antrim’s ‘Lost In Space’ for Wide Angle Recordings along with ‘Don’t Let Go’ by Embliss for Yin. Tommi’s never fallen into the volume game either as he picks his spots pretty carefully it seems and never over saturates teh market with his music leaving his fans always wanting to hear more. He’s delivered some of his best ever work here turning ‘West Waves’ into a sleeker, more refined tech groover. The toughness from the original remains but the main elements get chopped and reprocessed into something much more hypnotic. It’s these meditative qualities which really make the mix for me with the shuffly, floor friendly drums and wispy effects adding great energy and depth. Superb stuff from Tommi and an all round great release from ICONYC once again. Don’t miss it.